There are a lot of details to the new Marriott loyalty program. I spent a good amount of time talking with David Flueck, Marriott’s Senior Vice President of Loyalty. I spoke with executives from Marriott and Chase. I followed up officially with several dozen questions, and I spoke on deep background with several executives as well. And I was able to shed light on many details you didn’t see in any of the other coverage of the program. However the specific changes they’re making create winners and losers compared to the programs that are offered today. At reader Alex‘s suggestion I decided to walk through in a nutshell my first thoughts on how each group benefits or sees losses in the new program. Starwood General members: Increased earning for hotel stays. Chase Marriott cards: The new card will double its points-earning for unbonused spend. Marriott 50+ night elites: They’ll get breakfast at more hotel brands, breakfast at resorts, and upgrades to suites when available — including priority for suites at least 5 nights a year. They already got 4 p.m. late checkout as a result of the merger, too. In other words they get a meaningful elite experience which Marriott really did not offer before. For many that should compensate for any losses on the earn and burn side of the program compared to what they were used to. 100 night elites spending $20,000 or more annually: They keep all the benefits they are used to on the Starwood side, those benefits extend to the Marriott side (so a much bigger footprint), and they’re getting better earn and burn for their spending. 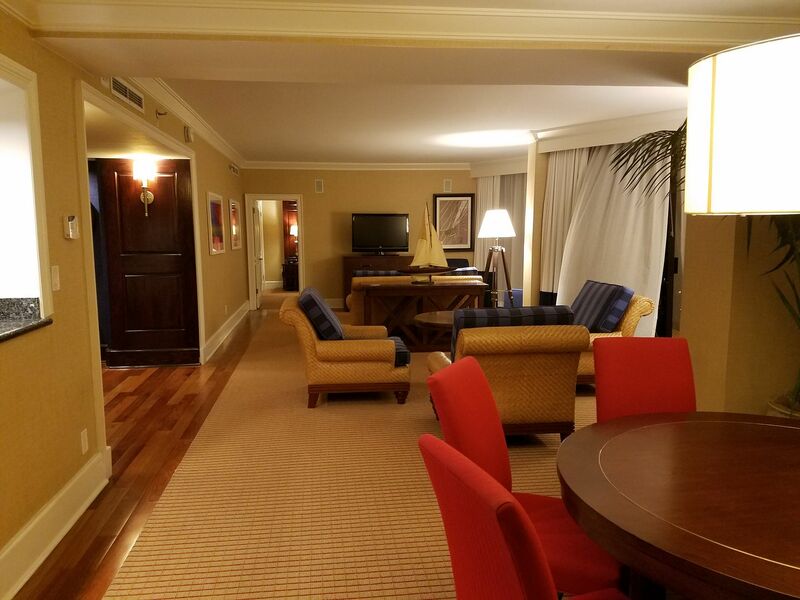 Marriott Lifetime Platinums their 75 night lifetime tier status continues into the new program, with much better benefits — and this is a level the program won’t even allow anyone to qualify for in the future. Marriott General Members: They’re getting an earn and burn proposition likely to be inferior to they have today but in fairness the merger has meant an opportunity to spend points at far more luxury hotels than before. Delta elites who will no longer receive hotel benefits because the Crossover Rewards program is ending. Starwood Golds: You can no longer qualify with 10 stays. 25 night elites no longer get guaranteed 4 p.m. late checkout, instead getting 2 p.m. subject to availability. Starwood Lifetime Golds similarly see a degradation of benefits. American Express Platinum cardholders: Some complaint that they’ll no longer get club lounge access or breakfast at Marriotts, but I don’t think that’s fair. Before the merger Platinum cardholders got Starwood Gold which didn’t give them club lounge. However the merger created a temporary loophole. Starwood Gold matched to Marriott Gold which got lounge access at Marriott. That goes away, Platinum cardholders keep the same 25 night elite status as before. The loss here is that no longer comes with guaranteed 4 p.m. late checkout. Starwood American Express cardholders: They lose the strong earn that was great for airline mileage transfers. Instead of earning, in effect, 1.25 miles per dollar spent [with the 5000 mile bonus for transferring points into 20,000 miles] the base earn rate of 1 mile per dollar gets cut by 1/3rd. Moreover, the card previously came with ‘Preferred Plus’ status that offered 4 p.m. guaranteed late checkout. Instead the card will offer Silver status sans late check-out going forward. Starwood Platinums qualifying on stays: Stay-based qualification goes away and folks with 25 stays and fewer than 50 nights will drop to Gold — no more suites, breakfast, or even 4 p.m. late checkout. Starwood 75 night elites will no longer get 24 hour check-in privileges. Starwood 100 night elites who spend less than $20,000 a year who will no longer get 24 hour check-in privileges or an Ambassador. I’m already sensing some bitterness in the comments from Starwood lifetime Platinums who will keep their lifetime Platinum status, but no matter how much they’ve stayed over time will never get lifetime 75 night elite status — the way Marriott lifetime Platinums get on a grandfathered basis. I don’t think that’s fair. The new program essentially has the Starwood lifetime component, with slightly higher qualification requirements. It doesn’t offer lifetime 75 night status going forward, just as the Starwood program didn’t. However those who earned lifetime 75 night status in the Marriott program get to keep that. We’d all be livid if that was taken away! It would be nice if Marriott went back and calculated lifetime 75 night status based on historical Starwood stay activity, too, but they aren’t taking anything away from Starwood elites here. Where I am sympathetic is Starwood 100 night elites, with a lifetime of loyalty, who will lose both Your24 twenty four hour check-in privileges (given by Starwood at 75 nights) and their Ambassador, because they don’t spend $20,000 a year in room revenue. They’ve been very loyal, and have the potential to continue to be, but Marriott is essentially firing them by saying their business isn’t nearly as valuable as Starwood used to say it was. And I think the 20,000 U.S. dollar threshold is a mistake. I’ve always said a program should decide who its valuable customers are and then treat them well every time, and Marriott is doing that here. I think that’s fair. However it seems to run counter to the trends of growth in Asia, especially China, and growth in select service brands. A customer choosing Marriott in China at the bulk of hotels being offered as the portfolio grows might have to stay 300 nights a year to earn the top level of loyalty recognition. That seems off. What am I missing, and where do you disagree with my assessments? Sheraton Lake Buena Vista FL was 3500 points plus $23.95 a night before this change on 8/17 just tried to book and room are now 12,500 plus $105 a night. Previous 4 nights 14,000 points plus $95.80. Now 50,000 points plus $420. Same hotel, same room, New Marriott rules. Spoke with Platinum customer service and said this is how it is now…. Who do you complain to now and really they don’t care.